I get it. 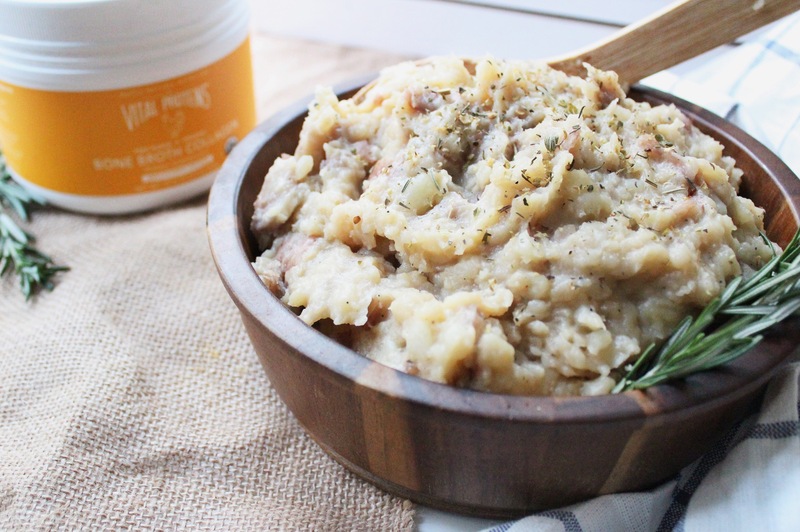 Cauliflower mashed potatoes are great and low carb. But, like, have you had real potatoes?? Potatoes are pretty much my top favorite food. I will eat them in any variety and everyday if I could. I even ordered just mashed potatoes for my birthday dinner this year. If you’re a tater lover like me, you get it. And I get you. 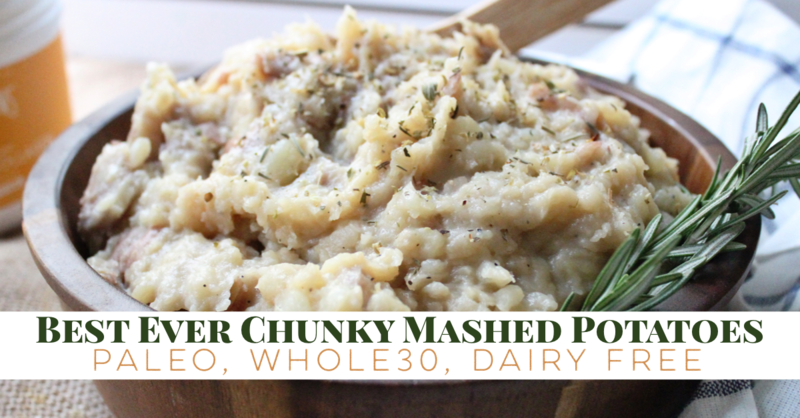 So with the holidays right around the corner, I wanted to perfect a big hearty batch of chunky mashed potatoes. 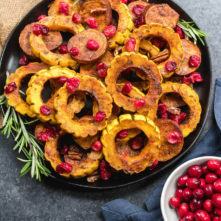 These replicate the ones that my family always serves during the Thanksgiving and Christmas festivities but minus the cream and other junk. The festivities I just mentioned usually (okay, always) include me standing in front of way too many sweet treats and comfort foods to load my plate up with. 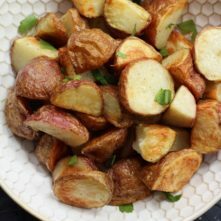 These potatoes are a lightened up version of everyone’s favorite side dish. No one will even know they’re Whole30 compliant! 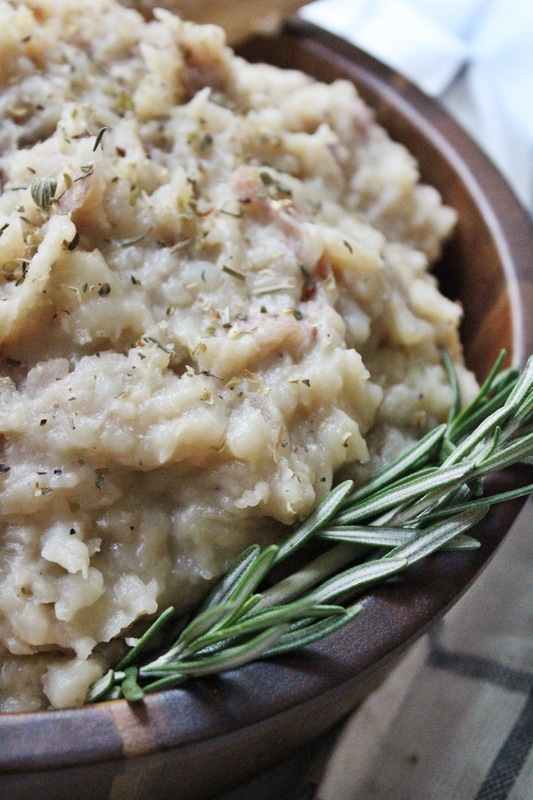 Chunky mashed potatoes with the skins left on are just such a reminder of family and fall and comfort for me. The cool thing is these aren’t just “holiday potatoes” because duh, potatoes are forever. So that means you can whip ’em up for dinner tonight for your family or for meal prep this weekend and keep them all to yourself. If you throw them in the Instant Pot, which you should, they’re ready in just 6 minutes. Since I’ve gotten my IP, I’ve pretty much forgotten that I even can make mashed potatoes on the stovetop. But I’ve included the instructions incase you’ve yet to hop on the Instant Pot train! 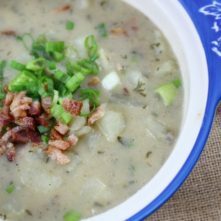 The secret ingredient I use to make mashed potatoes creamy (but still with potato chunks!) and full of flavor is Vital Proteins Chicken Bone Broth Collagen. Cooking the potatoes in bone broth as opposed to in water adds such a more profound flavor. Using the bone broth with added collagen is an awesome way to sneak in extra protein and collagen into your diet. Collagen has so many benefits. I could write way more than one paragraph about them but there’s a few big reasons you should be using it. For starters, collagen supports digestion, aids in muscle and tissue repair, aids in joint and immune system function and helps your skin, hair and nails. So yeah, it’s good stuff. 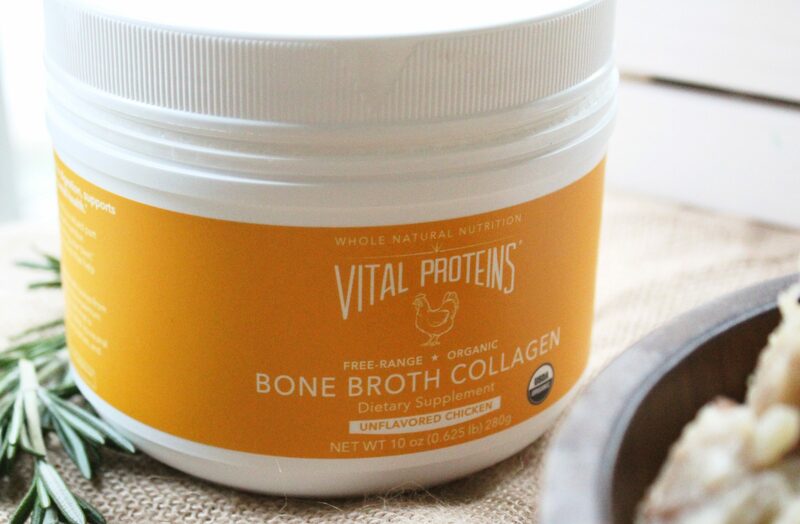 Vital Proteins offers a variety of products to help you get your collagen in but using the bone broth collagen powder is one of my favorites. The bone broth collagen varies a bit from the normal collagen peptides in that it contains naturally occurring chondroitin and hyaluronic acid, which can further aid in joint health. It’s one of my favorite products to keep on hand because it’s an easier and more practical way for me to get collagen into my diet. Pick yours up from Vital Proteins or Amazon! It takes away my need to purchase and store liquid bone broth, which often goes to waste in my house when I only need a cup or two out of the standard liquid containers. At 6-15 bucks a container and only staying good in the fridge for 7-10 days after they’re opened, I’d much rather spend the money to get a bunch more servings that are always around when I need them than let my money go bad in the fridge. Not to mention, the collagen is a nice healthy bonus. Once the potatoes are cooked, add in a little bit of your favorite unflavored almond milk (I used original flavored nutpods). Then simply use a potato masher or hand held mixer to mash the potatoes to your desired consistency. 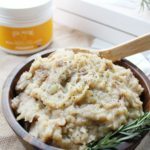 I opted to do these chunky mashed potatoes with bigger chunks and the skin on, but you can mash them until they’re smooth too! Check out my other recipes using bone broth collagen!